Hi guys! If you follow me on Instagram you probably already saw my post about this new mascara I got the chance to try. But for those of you that don't I didn't want you to miss out on this AMAZING product so decided to share it on the blog as well. 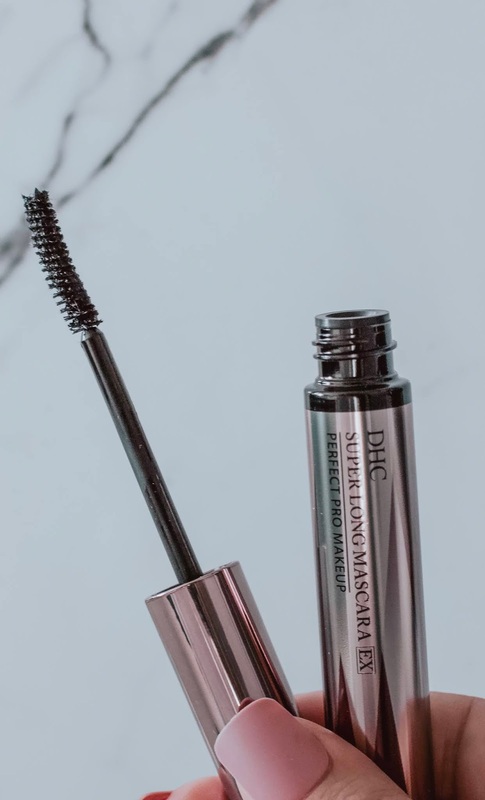 So I got to try the new DHC mascara and it has seriously become a game changer in my makeup routine! My lashes have never looked longer and fuller. 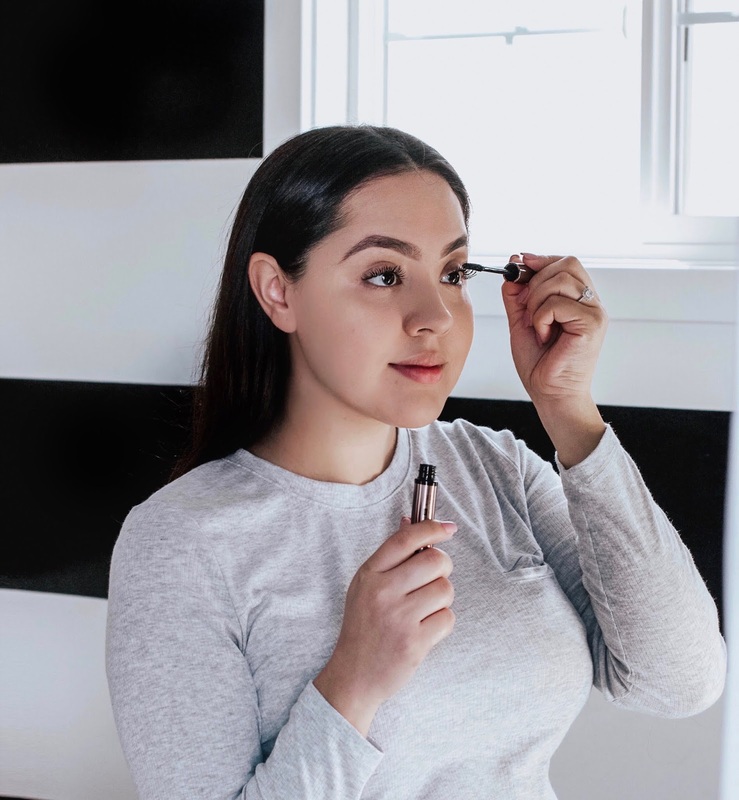 Other mascaras have thinned my eyelashes, but the new Super Long Mascara EX even has a nourishing complex of vitamin E, algae-derived extract and silk protein that help fortify your lashes. These are my lashes before/after trying the new DHC Super Long Mascara EX! It makes such a difference, and I really love that it added length and volume without feeling heavy and looking clumpy. I use this Eye & Lip Makeup Remover and Silky Cotton pads to gently remove my eye makeup before bed. The makeup remover is made with coconut oil to moisturize, and the squares are made from 100% cotton wrapped in a silk blend and won't snag on your lashes or brows. It was really easy to get all the mascara off and not one of my lashes were damaged in the process. You can buy them (here). The mascara is water resistant and lengthens the lashes by combining three lengths of fiber for a high-impact look. The curved brush makes it easy to apply with precision while adding a gentle curl. You can purchase it (here). Thank you to DHC for sponsoring today's post! All opinions are my own. Oh wow! Your lashes look huge with that mascara on!